This blog is a critical appraisal of the following randomized trial: Aidar et al. (2016) A Randomized trial investigating the influence of strength training on quality of life in Ischemic stroke. In the UK, stroke is the fourth highest cause of death and the highest cause of disability, having a negative effect on a persons’ quality of life (QOL; Stroke Association 2015). The American Stroke Association (ASA) (2016) states that Ischemic stroke accounts for about 87% of all stroke cases. Currently there is not enough evidence to imply that strength training has an effect on QOL post stroke (Morris et al 2004). This indicates a current gap in the literature and a need for the RCT conducted by Aidar et al (2016). Aidar et al (2016) aimed to analyse whether or not strength training could improve participants’ quality of life post-stroke after a 12 week programme. 29 individuals who had suffered an ischemic stroke within the previous year were recruited and screened for eligibility. Eligibility criteria excluded individuals that showed no signs of impairment as well as those who were highly impaired. The participants were randomized into two groups; one experimental group (EG) and one control group (CG). 5 participants left the study leaving the EG with 11 participants and the CG with 13 participants. Both the EG and CG completed a QOL questionnaire before and after the 12 weeks in order to record any influence of strength training on QOL. The CG continued their normal daily activities and did not receive any activity specifically for this study. The EG participants received preparation sessions in which they were familiarized with the equipment, and the Omni resistance exercise scale. The participants rated their exertion based on their perception of the intensity of exercise ranging from extremely easy (0) to extremely difficult (10). Each participant started the 1RM (1 Repetition Maximum) trials with a weight they believed they could lift only once using maximum effort. Weight increments were then added until they reached the maximum load. In the EG, there was a significant increase in all indicators of quality of life from pre-test to post-test. No changes were seen in the CG. The EG also saw greater gains in strength compared with the CG. Pedersen and Saltin (2015) stated that physical exercise is considered a critical part of a healthy lifestyle and individuals who exercise regularly can expect a better quality of life. Additionally, individuals with hemiparesis (weakness of the entire left or right side of the body) who participate in strengthening programmes are more inclined to have more active years, lower risk of metabolic syndrome and live longer (Pedersen, B.K. and Saltin, B., 2015). Pederson and Saltin (2015) found strength training reduced blood pressure and other cardiovascular factors in adults. The results imply that strength training may reduce blood pressure and indirectly influence an individual’s quality of life. Morris et al. 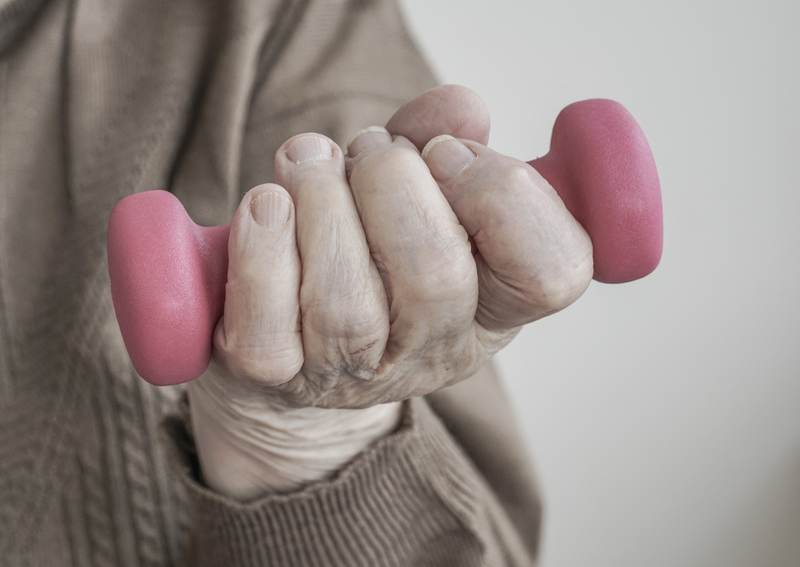 (2004) suggest that progressive strength training may positively alter musculoskeletal impairments after stroke, however it also states that there is little evidence to determine its effects on quality of life. This is why Aidar (2016) is a useful resource as it is targeting a specific topic that requires evidential development. What were the strengths and weaknesses of the trial? Aidar et al. (2016) had a small sample size of 29 participants, therefore the results may not be reliable when conducted on a larger, more varied population. In order for this treatment to be transferable within physiotherapy practice, more evidence is required with a larger sample size. Another weakness is that the therapists/participants were not blinded throughout the duration of the study as they were aware of the group they were allocated to, and this could affect the reliability of the results. A strength in terms of validity and reliability is that the assessor was blinded as to which groups the participants had been allocated, minimising rater bias. The 1RM test is widely recognized for the evaluation of muscular strength. In order to standardize the test, the participants took part in 1RM trials in order to assess each individuals maximum weight they could lift. This ensured that the results obtained would be reliable and a fair representation of maximum exertion. The results obtained from Aidar et al. (2016), Morris et al. 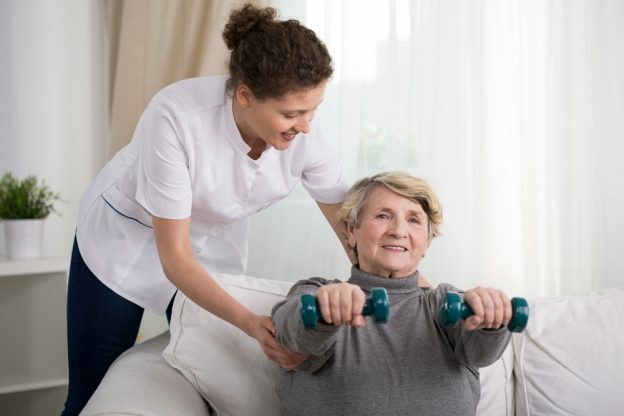 (2004) and Pederson and Saltin (2015) all suggest that there are benefits of strength training post-stroke and that it can help reduce blood pressure thus improving an individuals’ QOL in many ways. However, in order for the research to benefit physiotherapy practice within stroke rehabilitation, more evidence is needed on a much larger scale. Therefore, in and of itself, the Aidar et al. (2016) study is not sufficient to influence practice until further research is conducted with a larger study group. MORRIS, S. L., DODD, K. J. and MORRIS, M. E., 2004. Outcomes of progressive resistance strength training following stroke: A systematic review. Clinical Rehabilitation. February, vol. 18, no. 1, pp. 27–39. PEDERSEN, B. K. and SALTIN, B., 2015. Exercise as medicine – evidence for prescribing exercise as therapy in 26 different chronic diseases. Scandinavian Journal of Medicine & Science in Sports. November, vol. 25, pp. 1–72.